When registering a company, C Corporation or C Corp is the most common corporation type, but it isn’t always the top choice for small business owners. C corporations provide limited liability protection to owners, who are called shareholders, meaning owners are typically not personally responsible for business debts and liabilities. 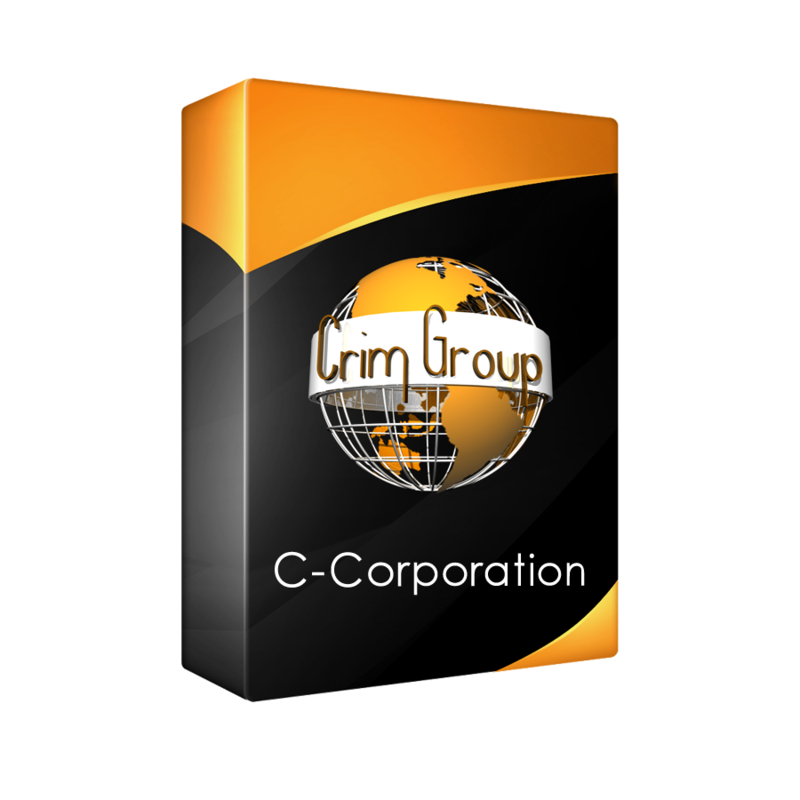 C Corp organizational structure is based upon a board of directors which job is to govern the corporation. C Corp also allows organizations to used fictitious names called dba (Doing Business As). This type of Corporation are tax on two levels 1st corporation and 2nd dividends from profits made by shareholders or investors. C corporations may also offer greater tax advantages because of an expanded ability to deduct employee benefits, which are most often used by growing businesses. A C corporation - often just called a generic corporation - is the oldest and one of the most common business entities. A C corporation is a completely separate tax and legal entity from its owners, who are treated as employees and not owners. Limited Liability - Like with all business entities, starting a C corporation gives the owners limited personal liability for the actions and obligations of the company. Unless they make a personal guarantee, they can't be held responsible for its debts. Oldest form of business entity - Because the C corporation is the oldest form of business entity, the corporate law surrounding the use of the entity is well-established, and likely won't be the subject of any issue where there isn't already a legal precedent for the company to consult. Perpetual - Unlike an LLC, the existence of a C corporation can be perpetual, and won't be affected if an owner decides to leave the company or dies. No stock or ownership restrictions - Unlike with an S corporation, forming a company using a C corporation does not create any kind of stock or ownership restrictions. The company can have any number of shares, which can be owned by an unlimited number of people or companies. Business owners can also create multiple levels of stock - reserving "preferred" stock for specific investors or owners. Easy transfer of ownership - Because ownership of the company is made up of stock shares, the ownership of the company is easy to transfer through the sale of that stock. Attractive to Investors - That easy transfer of ownership makes C corporations the entity of choice for most major investors, such as angel investors and venture capitalists. Companies that initially choose another business formation may have to convert to a C corporation before investors will sign on. Self-Employment Taxes - Because the owners of a C corporation are treated as employees, the company isn't subject to self-employment takes like an LLC is. Profit Reinvestment - If a business owner plans to reinvest a business' profits back into the company, then those profits are only taxed at the corporate level, and don't have to be declared on his or her personal income taxes. In many cases, the corporate tax level might be lower than the owner's personal rate. Tax Splitting - Business owners can also split the company's profits and reinvest some of them in the business while paying the rest out as dividends. By using this strategy successfully, they can try to find the best possible combination of personal and corporate tax rates. Record-Keeping Requirements - Unlike LLCs, C corporations are subject to many corporate formalities such as bylaws, shareholder meetings and the filing of annual reports. This can be a significant time commitment for companies with just a few employees. Double Taxation on Dividends - While the officers of a C corporation are allowed to take a "reasonable salary," any other profits that aren't reinvested into the company are paid out as dividends, which stockholders will declare on their personal income tax returns. But because that income was already taxed at the corporate level, all dividends are essentially taxed twice. Accumulated Earnings Tax - While a small business owner can reinvest profits back into the company, those profits can't accumulate forever tax-free. If they continue to accumulate to a high level without being spent to help the company, they can be subject to accumulated earnings taxes. Complexity - Because of the complex record-keeping and reporting requirements of a C Corporation, companies may need to hire a financial advisor or other staff members to ensure that they remain in compliance.